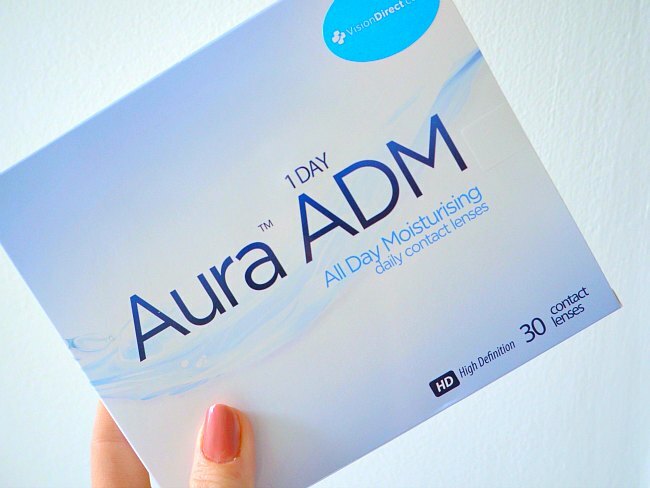 I have been set a challenge to try out Aura Lenses from VisionDirect and I am GAME. 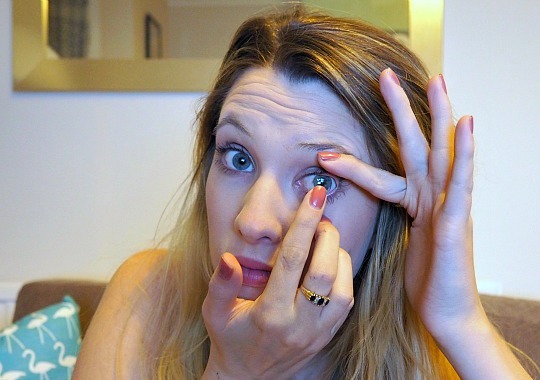 With not being able to see the TV, amongst many other things I wear glasses daily but I have never taken the plunge to wear contacts or put my finger in my eye – SCARY is the word associated with contact lenses for me. With my eyesight getting worse (sob) I thought this was a great chance to put some hydrogels in my eyes and review something a bit out of my comfort zone. If you decide to try contact lenses make sure you go to the opticians first as sometimes the prescription will be different to your normal glasses prescription and they will help you try them out for the first time. So after having my eyes tested, they were in great condition by the way, both my eyes are the same prescription so easy peasy. 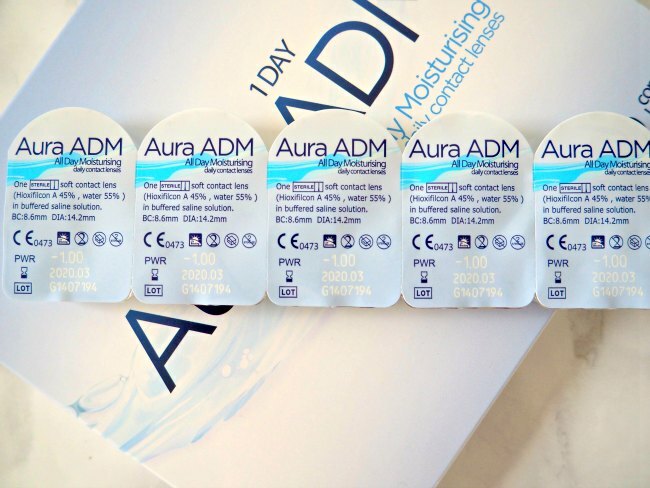 I was told that my eyes were a little dry so the Aura ADM 1 Day lenses were a perfect match as they are high quality and the hydrogel is treated with a solution that ensures your eyes keep hydrated throughout the day as lenses can sometimes dry them out! Vision Direct UK have a wide array of choices on their website and it is really easy to order with free next day delivery and the box fits though the letter box. After looking around, Vision Direct is considerably cheaper than buying lenses from a store and why would you want to when they get delivered, convenience forever! The Aura ADM 1 Day lenses are exclusive for Vision Direct and work out at £15.98 for 30 lenses for both eyes. 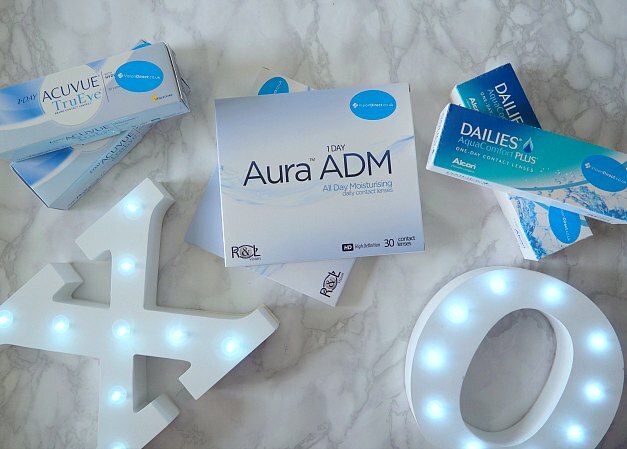 There are lots of options out there for dailies or monthlies but dailies just sounded like the more hygienic option and you don’t need to worry about anything else. 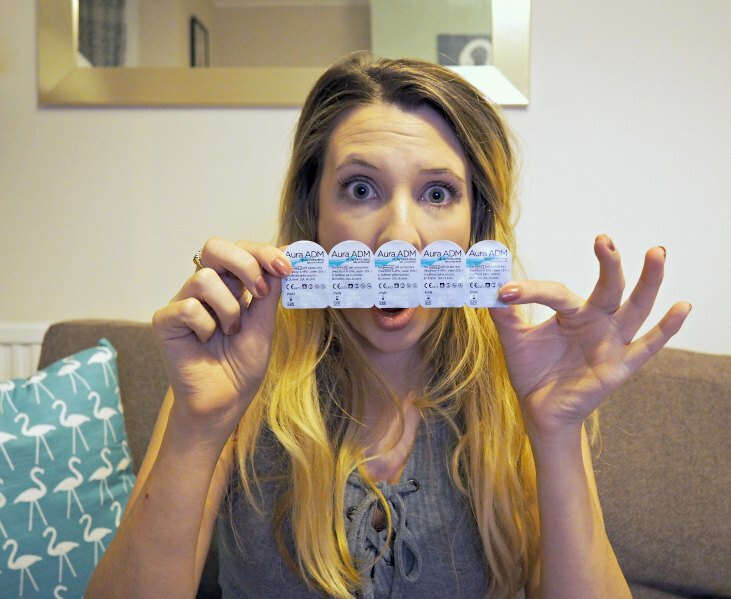 As I am using contact lenses for the first time, it was quite a scary experience at the start when I finally got the courage to put them in I could not believe how normal it felt and the fact I could see – it was a full on OMG moment. 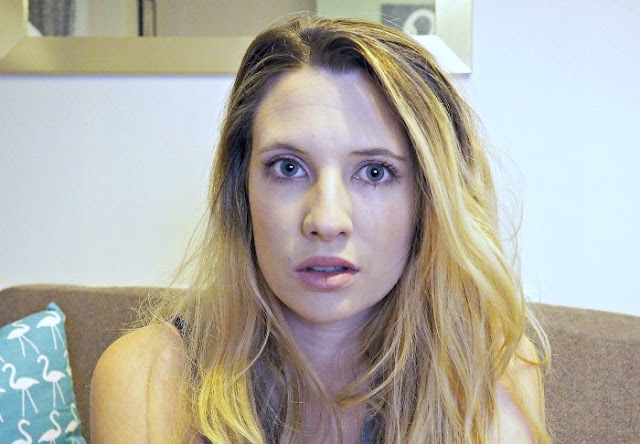 Don’t listen to anyone that tells you that it will feel strange, it felt the same BUT I could actually see posters on the other side of the room – pretty incredible if I do say so myself! 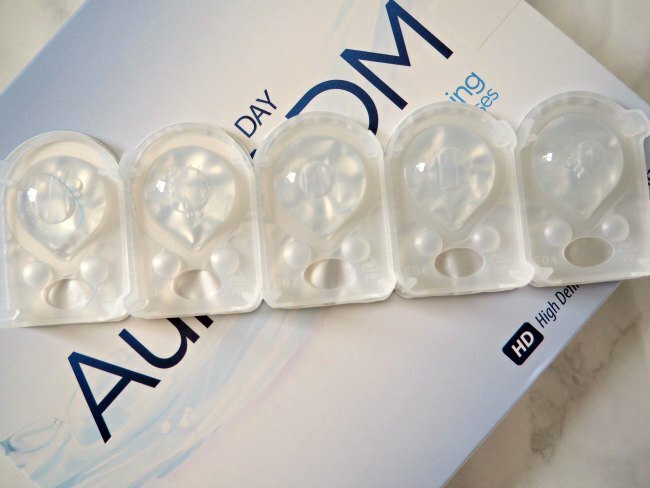 After wearing the lenses for a while all I can say is how normal is feels and the simplicity of the process they are simple to get in and out and the fact you can throw them away and pop a new one in the next day is again simple. 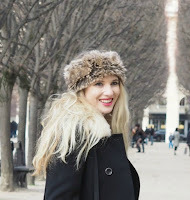 They are super comfortable and really don’t feel like you have anything in your eye, which was what I was most afraid of, not feeling myself but that totally was not the case. 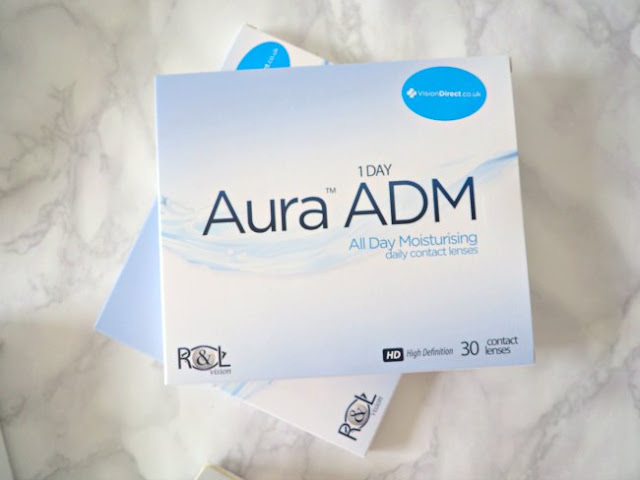 So I can safely say that although I am a first time contact lens wearer it definitely won’t be the last and with Aura ADM 1 day lenses being so comfortable and great value for money I can’t see why you would need anything else. So if you are a non-contact wearer give them ago you won’t be turning back.